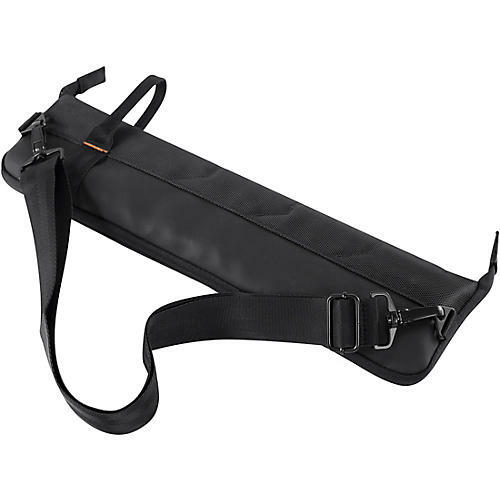 Have your sticks at the ready with this handy holster that's perfect for on-the-go drummers. Meet QUIVR, the clever drum stick bag that tethers to your Club or Stadium Bag to create a flip-out, free-standing holster for up to 6 pairs of your favorite sticks. The left panel features simple yet ingenious “quick draw” pockets that pop out up to 6 sticks for speedy access while playing, while the right panel keeps a drum key within reach and a larger drop-in pocket to accommodate mallets, brushes, bundle sticks and more. QUIVR also folds into a sleek standalone bag that can be worn cross-sling or over the shoulder, measuring a compact 17x4.5x1.5” fully loaded.